Or visit www.GoliOtok.com and click on the "Make A Donation" button. 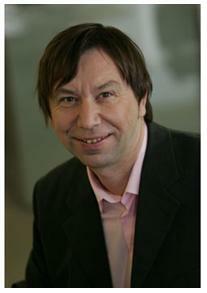 The Croatian National Foundation will send each contributor a tax deductible receipt. 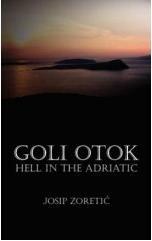 To order a copy of the book Goli Otok- Hell in the Adriatic, send a $15 check, payable to "Marko Zoretic" to the above address. Reinhard Grabher, a journalist from Salzburg, Austria, has sailed the Adriatic numerous times and visited Goli Otok on three occasions – most recently, last summer. As Mr. Grabher describes it, "each time I returned, the buildings, the whole island, became more and more sad. Nobody cares about the awful, horrible history of this island." After completing "2865 Days," a book about a spectacular error of justice in Austria, Mr. Grabher is now working on his next project, a documentary about GOLI OTOK. Why? "Because nobody in Croatia cares, and nobody in Europe knows what happened on Goli Otok from 1949 to 1988. My goal is to bring to light the history of Goli Otok, all the horror that took place there, all the injustice, and all the terror. The video will serve as a memento and a warning." Mr. Grabher, 46, is a journalist in Salzburg for the radio and TV Station ORF Salzburg, a local information station where he is part of a small team that is responsible for the local news. Mr. Grabher has also been involved in larger projects, including a documentary about an innocent young man who was imprisoned for a murder he did not commit. He was imprisoned for 2865 days before the truth came to the light. It was one of the greatest (some say: THE greatest) errors of justice and police work in Austria, involving police errors and cover-ups.